Featuring art from local schools! 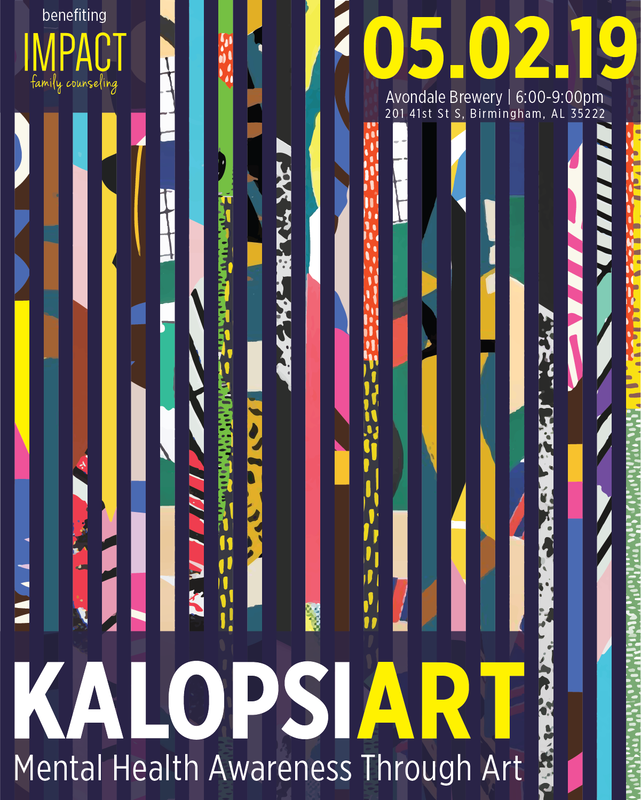 ​In an event like non-other, KalopsiART brings together art, mental health, and the Birmingham community at the Avondale Brewing Company on May 2nd, 2019 from 6:00pm – 9:00pm. Benefiting Impact Family Counseling, and in partnership with Homewood, Mountain Brook, & Vestavia City Schools, students will showcase their interpretation of mental health through art at a one-of-a-kind art auction. Parents, teachers, art admirers, will have the chance to take home each and every art piece on display with all proceeds going back to support Impact’s incredible Schools Program. Food and drink will be complimentary with the purchase of a General Admission ticket for $25. Guests will be able to claim a piece of artwork by participating in a silent auction. One thing is sure, get your tickets soon as space is limited. Thank you IMPACT Junior Board for making KALOPSIART possible!